We are talking, of course, about Marius Petipa and Laurent Hilaire. Moreover, Grand Opera Premier became the head of the theater, which was actually created and fostered by choreographer Vladimir Burmeister. Whereas Laurent himself was given the status of etoile after his part of Prince Siegfried part in the Swan Lake by Burmeister. Moreover, he Laurent was noticed and elevated to the etoile rank by Rudolf Nureyev, the legend of the world ballet himself. “In the corps de ballet, I loved the moment when everyone gathered in a single artistic impulse. Everyone should be filled and at the same time be in the ensemble. And then it looks very beautiful. We create poetry and a dream with one and the same impulse. It`s Magic”. The young dancer moved very quickly along the hierarchical ladder of one of the most conservative and strict theaters in the world. In 1983, Laurent Hilaire received the prize for the role of Prince Siegfried in the Swan Lake version of Burmeister. During the tour of the Opera Paris in New York, the success of his performance, where Laurent performed the Prince’s part along with his beloved partner, another star of the Opera Garnier, Sylvie Guillem, was incredible. In 1985, Rudolf Nureyev gave Laurent Hilaire the rank of etoile, which was absolutely justified. Laurent was one of Nureyev’s most beloved dancers, and Nureyev actively promoted the young, ignoring the Parisian hierarchy. And so the rising star of France, and of the whole ballet world, became the successor of a living legend. Laurent Hilaire danced the leading parts of the entire classical repertoire: Sleeping Beauty, Giselle, Swan Lake, Raymonda, Coppelia, Romeo and Juliet (both Romeo and Tybalt), La Bayadère, Don Quixote and many others. With perfect technique, fine lines, Iler had a unique personality. But the great artist always becomes cramped within the framework of the classical ballet. And Laurent Hilaire is no exception. Balanchine, Bejar, Petit, Neumeier, Kilian, Preljocaj, Forsythe – the names of the choreographers, in whose masterpieces Hilaire danced, are impressive. Forsyth, Guillem, Hilaire. These three people, three masters, created the incredible. Breakthrough, which is still considered the standard and a kind of classic of modern ballet. Of course, we are talking about In the Middle, Somewhat Elevated. It was an electric shock for the ballet world. It was not the first play that William Forsythe did for the Opera Paris, commissioned by its director, Rudolf Nureyev, but it was the part of the ballet France, starring young Sylvie Guillem and Laurent Hilaire. “I could not think of anything when I danced In the Middle, except steps. They take away physical strength, it was a certain violence – to fulfill them. And in my head there were only two words: lines and power,” says Laurent. There is an expression in the ballet world: “a good suit makes for 90% of success”. There is a pinch of truth in it. Of course, properly seated suit emphasizes dignity and can hide flaws, immediately shows the nature of the executed image. During the performance, the scenery, the environment (corps de ballet), the light, the audience energy are also added. And only great masters can create a masterpiece simply at rehearsal. Laurent belongs to such masters. Just go and watch the video of Carmen by Roland Petit and Alessandra Ferri. No costume, no light, no scenery – just pure high-class performance. This video, as a separate film, is a masterpiece equal to a full-fledged Petit ballet. Laurent Hilaire was the first performer in yet another performance that turned over the ballet world. In 1994, Angelin Preljocaj set Park at the Opera Paris – a ballet that could stand on a par with performances by Petipa and Nureyev. 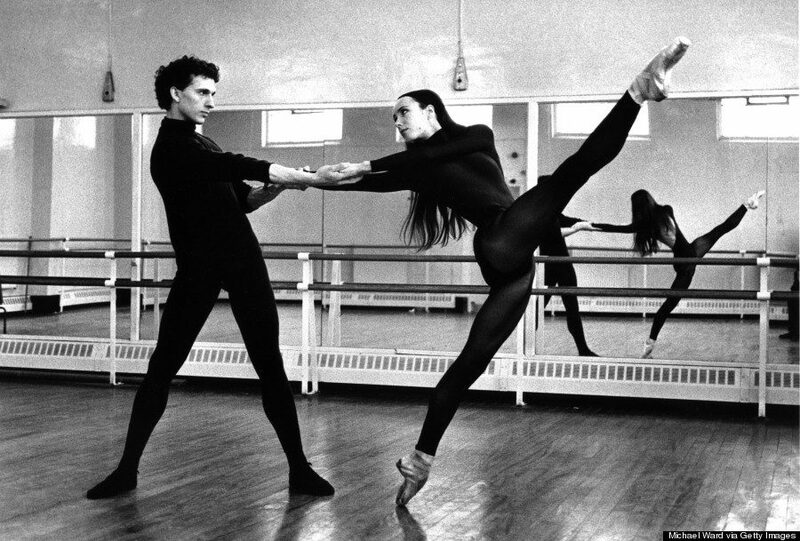 For Park Preljocaj was given Benois de la Dance, and this choreography became the next standard of the modern French ballet. And again Laurent Hilaire. But with another great ballerina – etoile of the Opera Garnier – Isabelle Guérin (the first Nikia in Nureyev’s La Bayadère). And still, not all artists can convey the refinement of this choreography, remain on the verge of sensuality and elegance. And the scene with a kiss during the duo was a real hit. Another choreographer, whose choreography went through the work of Laurent, is Maurice Bejart. Hilaire danced in several ballets of one of the best French choreographers of the twentieth century. Very handsome and technical in Greek dances. But, as often happens with the work of Laurent Hilaire, one performance became symbolic. We are talking about the ballet Songs of Wayfarer. 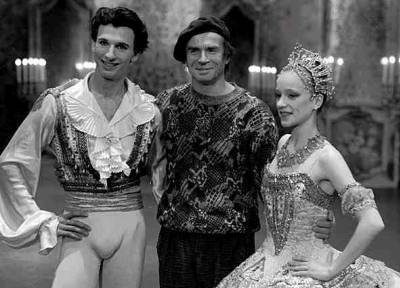 It was the gift of Maurice Bejart to Rudolf Nureyev, one of the last performances of the legendary dancer. The Duet of the Apprentice and Destiny caused real tears in the auditorium. Rudolph died. Then two more performers of this play saw the light: Jorge Donn and Paolo Bortoluzzi. And the Maurice Bejart has forbidden to perform the Songs. And in 2003, by the tenth anniversary of the Rudolf Nureyev’s death, Bejart allowed performing this ballet to the two etoiles of the Opera Garnier, two successors of Rudolph, dancers, in whose creative destiny Nureyev was a real wizard – Laurent Hilaire and Manuel Legris. The Moscow audience was lucky enough to see at the Benois de la Dance Gala concert at the Bolshoi Theater. Teaching talent was raised in Laurent Hilaire by Brigitte Lefèvre, director of the Opera Paris in 1994-2014. Iler was still the Theater’s etoile when she entrusted him to rehearse with the soloists. Since 2005, Laurent Hilaire was both the actor and the choreographer of the Opera Paris. 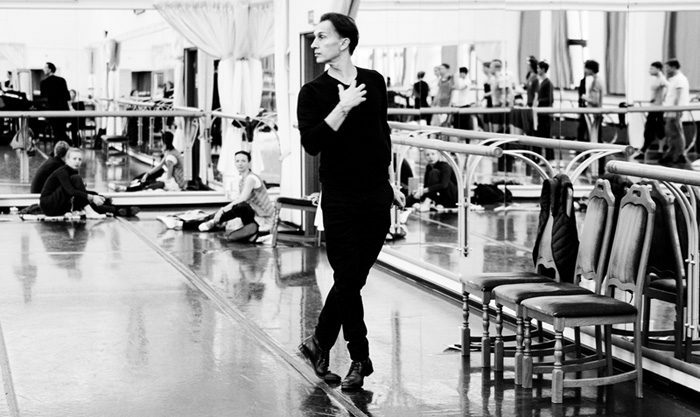 He rehearsed with the artists and was assistant choreographers like Kilian, Forsythe, and Ratmansky. In 2011, Brigitte Lefèvre appointed Laurent Hilaire as deputy director for the ballet of the Opera Paris, thereby naming him as her successors. Hilaire not only participated in the staging and rehearsal process but also largely influenced the repertoire politics and career growth of artists. In 2014, Director of the Opera Garnier Stefan Lissner chose Benjamin Millepied (better known among the masses as Natalie Portman’s husband) over Laurent Hilaire. And Laurent left the Theatre. 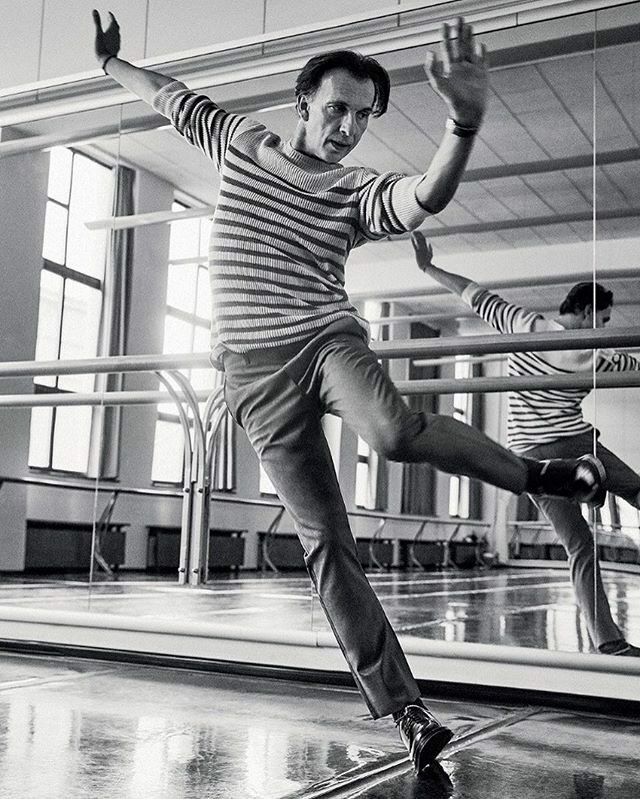 For the last two years, he has been a guest tutor at the National Ballet of Canada, La Scala, Teatro dell’Opera di Roma, Royal Ballet of Sweden and Shanghai Ballet. On January 1, 2017, Laurent Hilaire became the artistic director of the ballet troupe of the Stanislavsky and Nemirovich-Danchenko Moscow Academic Music Theater, thereby becoming the first Frenchman after Marius Petipa, who headed the Russian ballet.